The story seems too good to be true, but, as it's told, the world-touring Quebec-based circus troupe Cirque Alfonse began when adult siblings Antoine and Julie Carabinier created an entertaining sketch as a birthday present for their father, Alain. Not everyone's party piece would turn out to be stage-worthy. But, Julie was a trained dancer, her brother a seasoned circus performer and their father an amateur clown, so it didn't take much for the three to realize they had something with potential. The full company of professional musicians and acrobats, still headed by the Carabinier family, started touring in 2005 and, a decade later, they bring their original production Timber! to Kingsbury Hall. There are no lions or tigers in this modern-day circus, but you might still gasp with fright as you watch performers juggling hatchets, landing flips on a wooden two-by-four held by two strong men, or jumping through a hoop made of razor-sharp crosscut saws. Set all this to the old-timey sounds of a well-strung banjo, and you've got a good sense of how the night will go. David Brothers is an underappreciated local master of a multiplicity of media. Brothers has added his unique sensibility to animation, film, painting, photography, printmaking and video, but hasn't received much notice by the mainstream visual-arts community. The Utah Museum of Contemporary Art presents Brothers' exhibit Rolithica to showcase the work of this eccentric figure. Utahns may be familiar with Brothers' work as a set designer for films like Trent Harris' Plan 10 From Outer Space. Also, his series Any Act—featuring local actor Gyll Huff, who recently passed away—used photographic tableaus resembling stills from sensational B-movie productions. Rolithica continues his exploration of stage sets that are alternately places of extravagance and sites of utter wreckage and impoverishment as dramatic environments—dreamscapes in which scenes of sublime romanticism as well as utter depravity might be imagined to take place. Dada—the art movement formed in Europe as a reaction to the horrors of World War I—was known for its use of satirical humor, elements combined in seemingly random collages and assemblages, and the use of nonsense words, thus the name. Weller Book Works celebrates the 100th anniversary of the art that exploded out of the Cabaret Voltaire in Zurich, Switzerland, in February 1916 and spread like wildfire across Europe, and whose influence is still being sharply felt today. 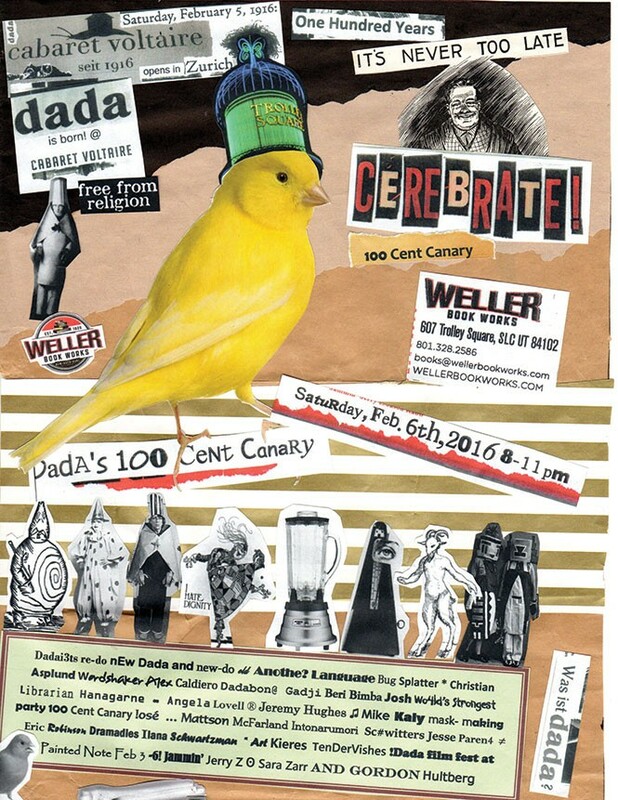 On Feb. 6, a wide array of artists from a number of disciplines will show the enormous influence of Dada, including BYU professor of music Christian Asplund with his Avant GaRAWage. "Wordshaker and sonosopher" Alex Caldiero bridges the worlds of language and pure sound. Poet José Knighton will read Tristan Tzara and his own works. Homage is paid to musical matters with Mattson McFarland's "Intonarumon" noise-making apparatus, and Mike Kaly and cohort performing the John Cage-influenced musical piece "To C." Performance art group Another Language presents their work "Bug Splatter," while store owner Tony Weller will re-enact "Gadji Beri Bimba," a nonsense/sound poem by Hugo Ball, founder of Cabaret Voltaire. Many more are on tap, including alphabetically last but not least, Dada drummer "Jammin Jerry Z." The Harlem Globetrotters roll into Salt Lake City this week, for their annual appearance, while also celebrating 90 years since the first edition of the squad was formed—not in Harlem, but in Chicago. Over the course of those nine decades, the Trotters have put on more than 20,000 "shows"—the term used on the team website, rather than "game"—in 120 countries, playing for presidents, popes and royalty. They've been on Gilligan's Island and Scooby Doo, and played a goodwill role during the Cold War when they played for Nikita Khrushchev in Moscow in 1959. The team is also celebrating the memory of Meadowlark Lemon, the "Clown Prince of Basketball" who held court as the Globie's leading man for 24 seasons, and passed away in December at the age of 83. While the players are new (there are now female Trotters and the hapless opponent is no longer the Washington Generals), much of the Globetrotters experience is just as it has been for decades. The red-white-and-blue uniforms. The Magic Circle before the game set to "Sweet Georgia Brown." The three-man weave offense. The amazing dribbling exhibitions. The highlight dunks. The half-court shots. And, most of all, the gags that are just as funny to 21st-century kids as they were to their grandparents. 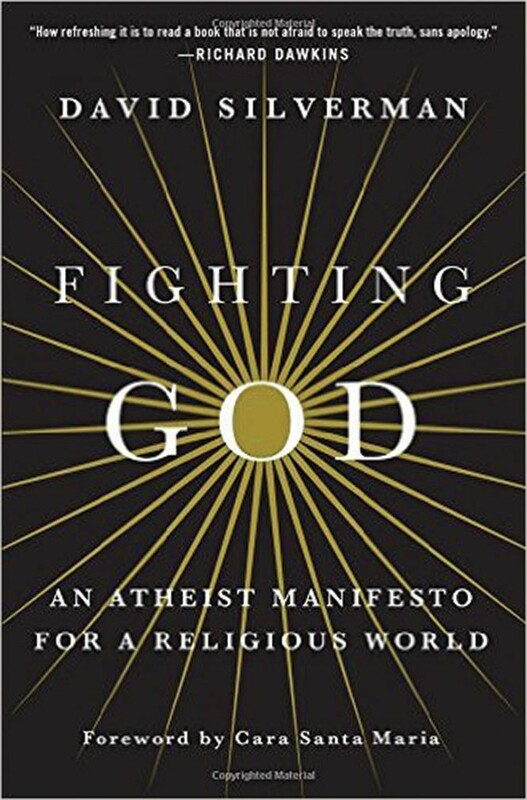 In recent years, atheists in America have become more politically active, railing against the efforts of organized religions, which, in their view, increasingly seek to blur the separation of church and state. David Silverman, president of American Atheists, maintains that religion is not only superstition but also a toxic force in society.